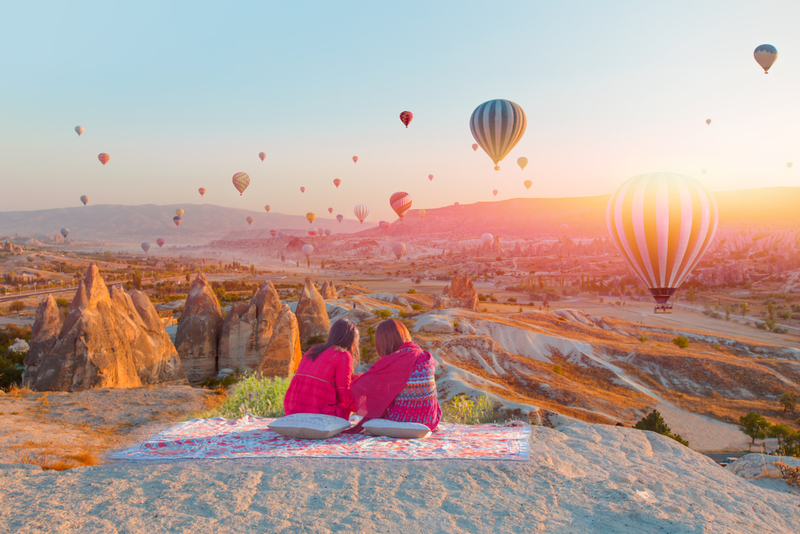 Want to see the sun rise over the fairy chimneys of Cappadocia? To play Alladin the Grand Bazaar in Istanbul? 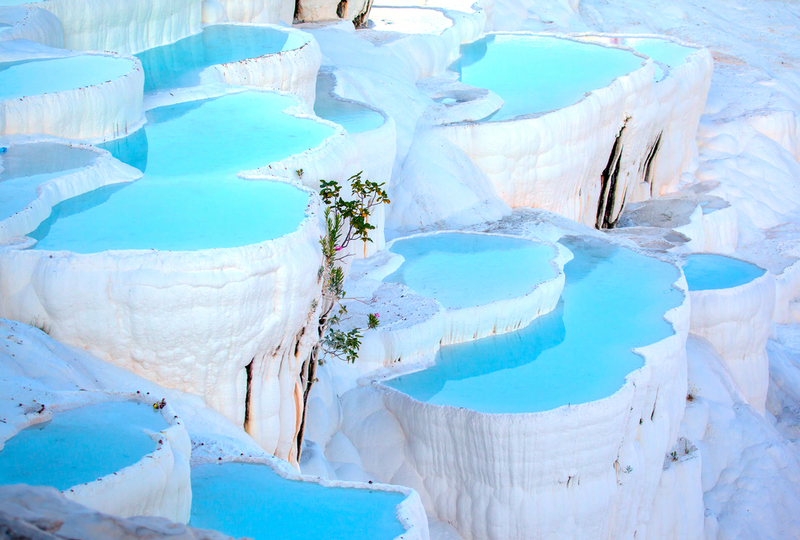 Or feel the cool rush of calcified-water as it tumbles down the terraces in Pamukkale? Turkey is on many adult’s must-see lists. And now a new Intrepid tour makes it incredibly easy to do with kids. Intrepid’s 10-day Turkey Family Holiday takes families to Istanbul, Kas, Cappadocia, Pamukkale and Selcuk. 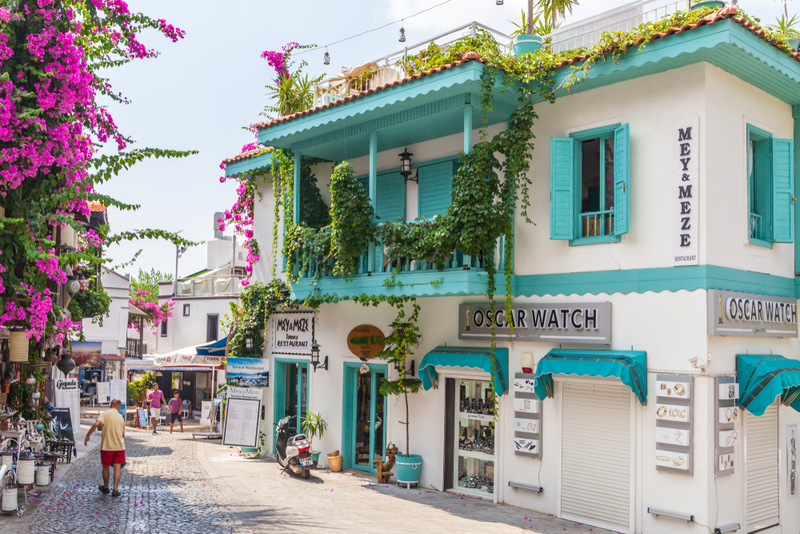 Family Tours take a slower pace, build in extra days in each town and include activities that kids will love – such as craft classes and cooking. 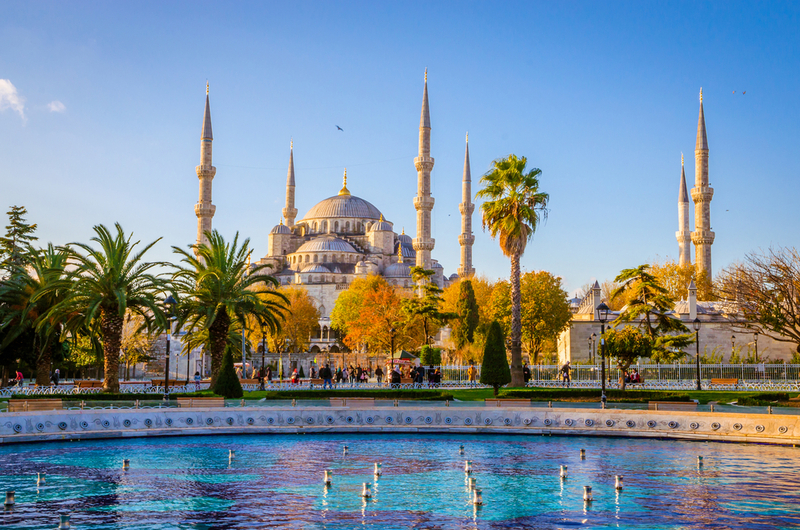 The first stop on the tour is Istanbul, home to the Blue Mosque and the Grand Bazaar. “With the family trips we like to start in a major hub where there is an international airport which helps families plan,” Dyan says. Families can add-on a couple of days here to get accustomed to the city before the start of the tour. Dyan says Istanbul is a walkable city, with sights on every corner. But the kids always love the grand bazaar. 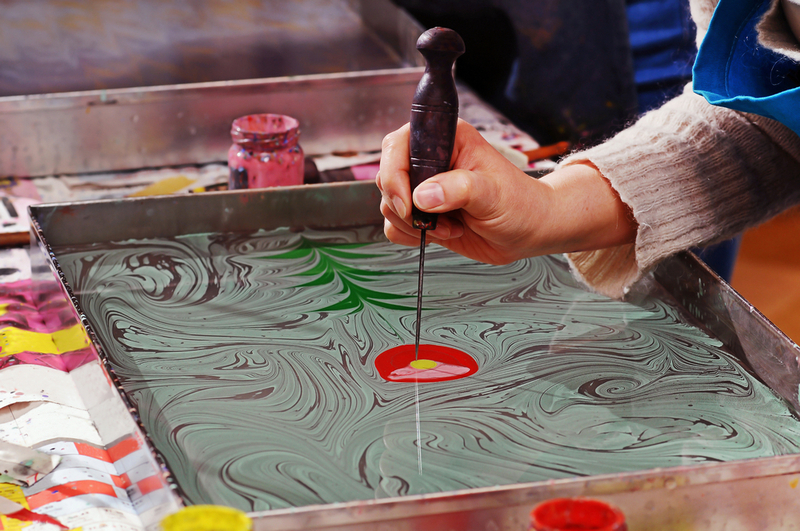 The tour also ends in Istanbul and families can take part in a water marbling class – a popular local art. From Istanbul the first stop is Goreme. “We fly to Goreme, which is in the heart of Cappadocia,” Dyan says. Families can arrange an optional balloon flight to view the fairyland of churches and houses carved into the hillside. But it’s honestly just as spectacular to watch other people do it, from the ground. Intrepid’s travel philosophy is based on exploring cultures and encouraging sustainable tourism. You won’t just whizz past the sights on a bus. Expect to immerse yourself into the world of the locals. In Cappadocia, families will do a cooking class with a local family and eat dinner in their home. “The kids and the family can explore the house and the garden all the food they cook with is local organic produce from the house,” Dyan says. This also gives kids an opportunity to ask questions of their hosts about their life in Turkey. 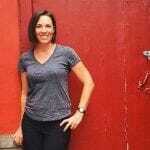 “Kids ask questions that you wouldn’t think to ask – like ‘why is that temple gold?’, ‘what is in the soup?’ – as a parent, you sometimes learn more from the questions your kids are asking,” Dyan says. From Goreme, families board an overnight train to Selcuk. 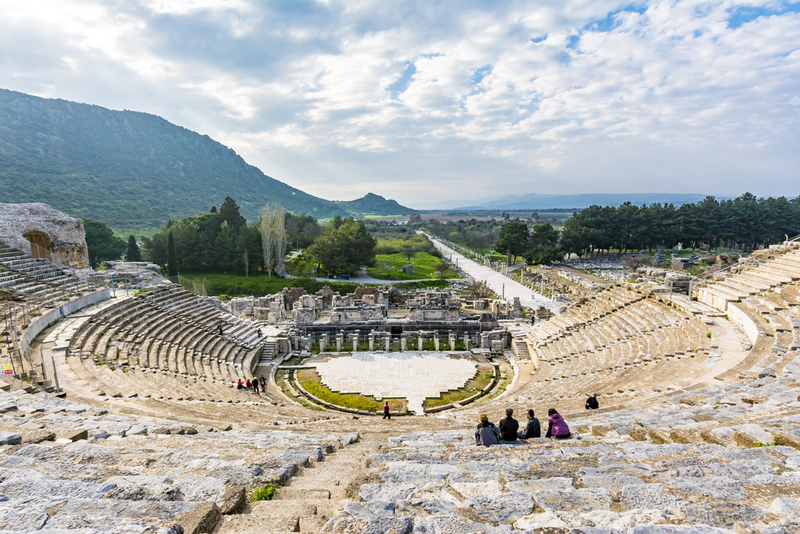 At Selcuk, you can explore the ancient ruins of Ephesus, the former capital of the Byzantine Empire and the best-preserved ancient city in Turkey. On your own, it may be hard to understand the significance of this site. On an Intrepid Family Tour, local guides are used to explaining history to kids. And making it fun. 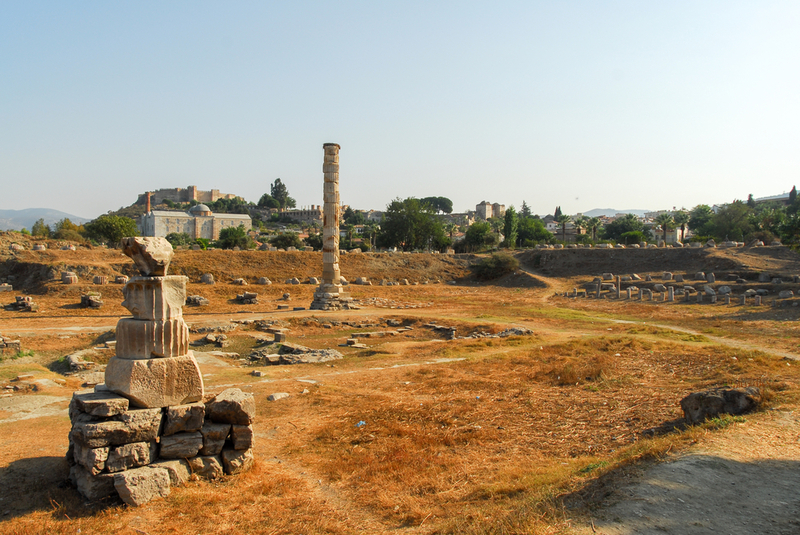 Ephesus is home to the Temple of Artemis ruins, one of the seven wonders of the ancient world. Foundations found here date back until the 6th Century BC. It was once one of the largest, most brilliant buildings in the world, made entirely of marble and sculpted columns. Christians believe this region was also the area where Saint John and the Virgin Mary spent their final years. For kids, the ability to see what they are learning about, rather than read it in a book, makes it much easier to understand. They can see the scale, touch the remains and it will go into their long term memory. 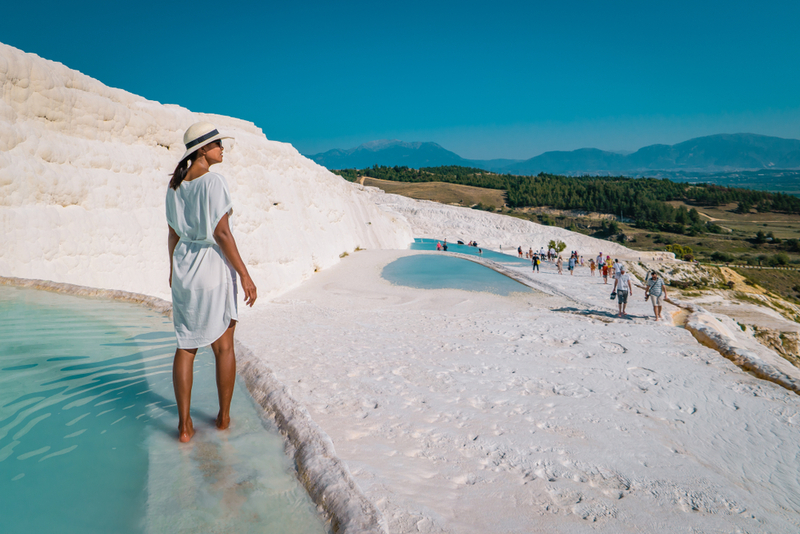 Once you’ve soaked up the history – it’s time to soak up Turkey’s most famous thermal baths at Pamukkale. Turkey is home to more than 1500 thermal springs. The tradition of soaking in warm water for wellness dates back thousands of years. Pamukkale water is high in calcium. Tree branches and stones left in the flowing water turn white in a short time. Locals believe the water has the power to cure high blood pressure, kidney stones, stroke, rheumatism, physical exhaustion and skin disease. No proof exists for these claims. These days you can not soak in the baths as they are protected. But you can wander around them. Locals also believe the pools can make you beautiful. According to Turkish legend, an ugly unmarried young girl tried to take her own life at Pamukkale. She fell into a natural pool as she ran through the plateau. But she did not die. Instead, she turned into a beautiful woman. A passing Lord then happened to ride by, spotted her and fell in love. Another legend has it that Marc Anthony carved the baths out of the stone as a gift for Cleopatra. One of the best things about taking a family tour is that it won’t be rushed. The pace is slower to allow kids and parents some down time. Intrepid usually uses hotels with pools – so you can go back and chill out in the afternoon. Dyan’s favourite town on the tour is Kas. Here families can explore the whitewashed buildings the cobbled streets themselves at their own pace. Many of Intrepid’s family tours will end at a beach – because they know that’s what makes kids happy. 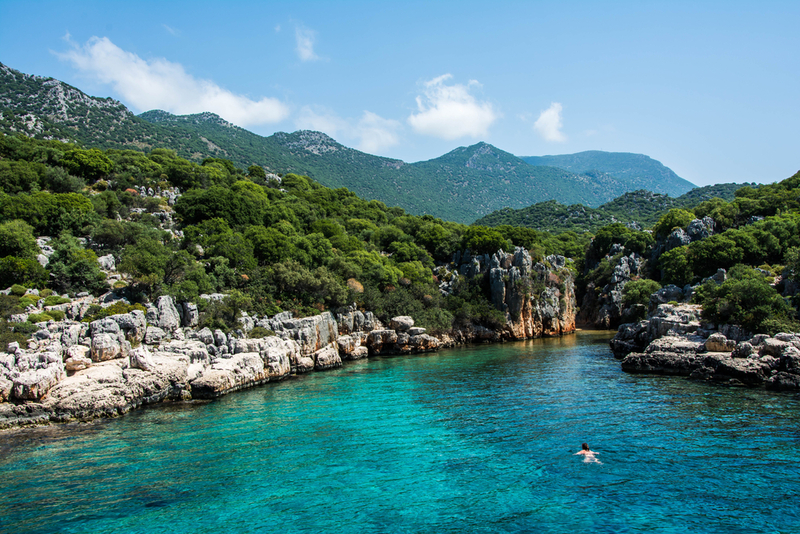 At Kas, you can swim in the Mediterranean and do a day cruise. Dyan says interest in Turkey is growing fast. It’s a destination that is incredibly beautiful but can be seen as difficult to “do it yourself”, particularly for families. Intrepid’s family tours slow down the pace and increase your safety. A family tour takes the stress of organising away and allows you to focus on enjoying the moments. And there will be many happy moments on this tour.